When journals evolved from exclusive print formats into some variety of electronic hybrid, librarians valued the extra service their formats offered, and we justified paying more for them. Scientists in far-flung labs off campus enjoyed easier access to the journals they consult and publish in. 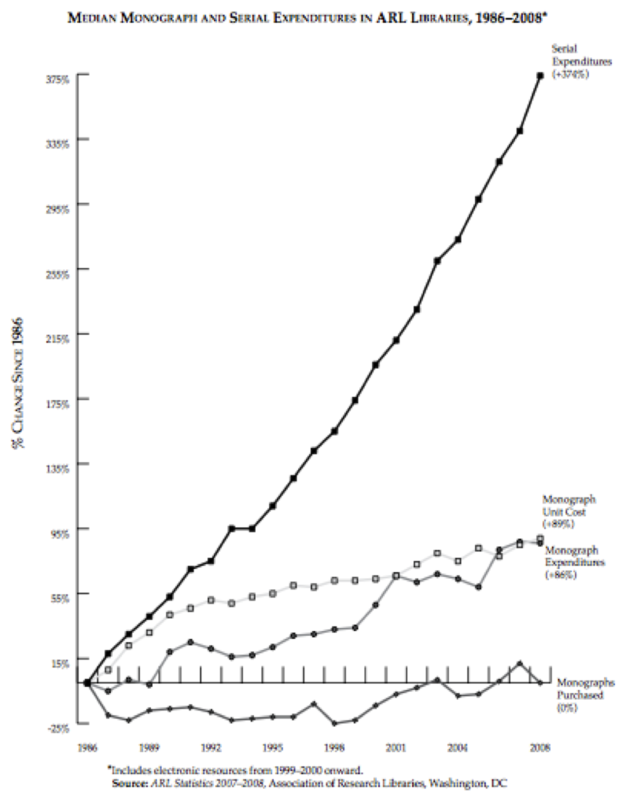 Humanists steadily gained deeper access to primary and secondary sources. 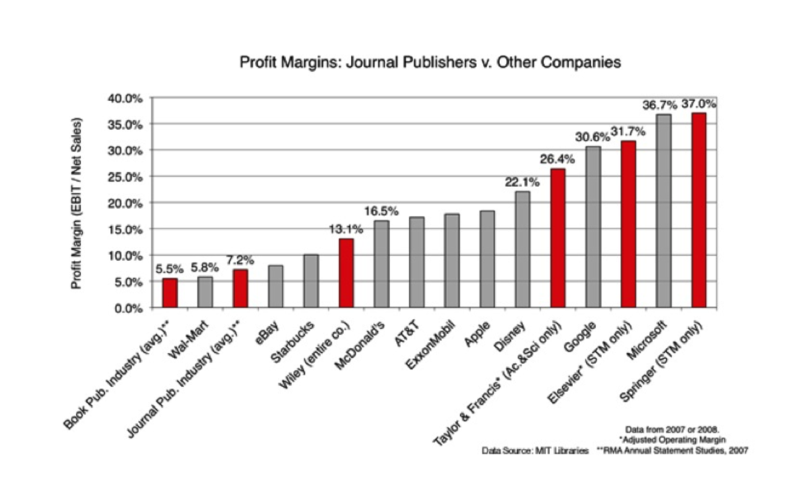 But for the past 10 years, Elsevier, and its closest competitors Springer and Wiley, have been making obscene profits off academic publishing. 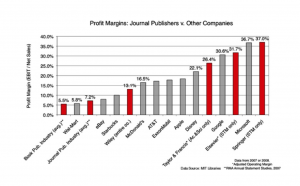 Other academic journal publishers and distributors show that marketing can serve the academy without tremendous offense. But Elsevier has caught our attention. 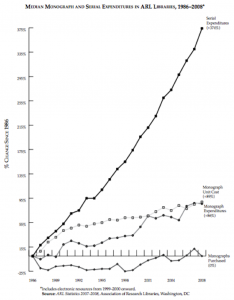 E-journal purchasing has risen exponentially over my lifetime, and Elsevier – and its competitors Springer & Wiley – are the main reason why. Today, with cheap server space and ubiquitous search engines, there’s no good reason we should continue paying outrageous prices for journals we could manage just as well, and with less expense to the academy and to the public. So today I finally signed the Cost of Knowledge petition pledging to boycott use services to Elsevier. I hope the Journal of Academic Librarianship will leave Elsevier with its back files for another open access distributor soon.